AM/PM is a beautifully chaotic album from start to finish. Each song sounds so different from the last, but they all fit together like puzzle pieces. Innocent Until Birth kicks off the album with ambient-sounding instrumentals, and then kicks you in the teeth with the ensuing riff. Bite Marks and Picture Day demonstrate the sound we heard from The White Noise on 2016’s Aren’t You Glad?. After these two songs, the album takes a turn for the less predictable. Tracks like I Lost My Mind (in California) and Rated R show off the full spectrum of sounds that the band is capable of navigating masterfully. 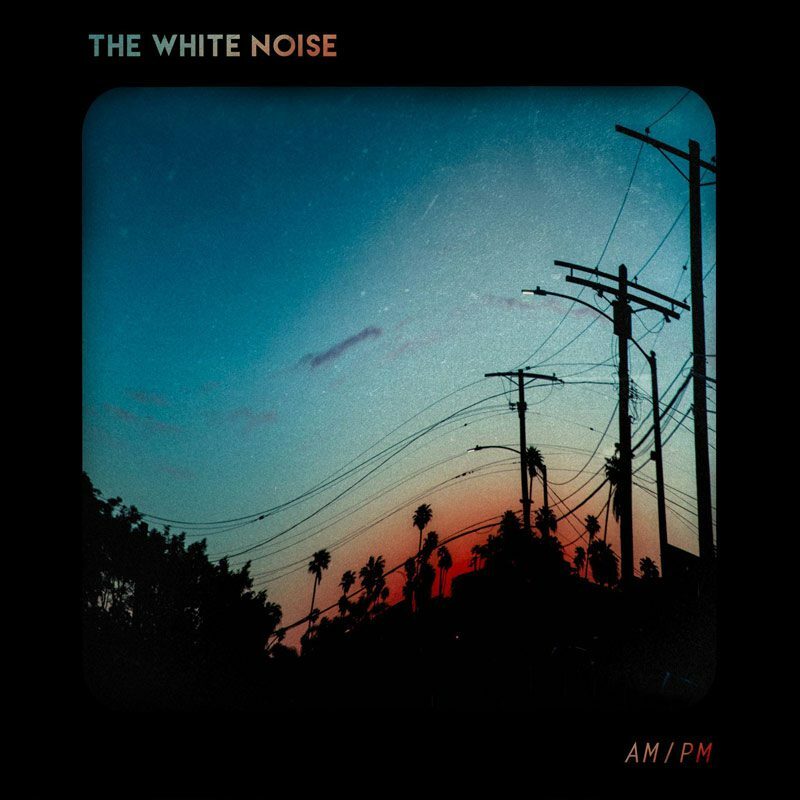 Right in time for their summer on Warped Tour, The White Noise put out a summer hit: I Lost My Mind (in California). It sounds like an early 2000’s pop punk song- and it totally works. The band masterfully rewinds the time a decade and a half in their music video for the track as well. After following vocalist Shawn Walker on the adventure of a lifetime, the video gets to scenes of the band playing in a wonderfully “punk” spot. Rated R comes right in boldly after with a loud and aggressive start. The song is a metal song at its core, with an interesting twist. Landon Tewers presence is made known on the song with his emotional vocals over a catchy bass groove. The song then moves into an intriguing riff that samples moaning, before building up to an angry breakdown. To compliment the heavier parts of the album, Montreal and 24 Hour Revenge Therapy both have slow and emotional vibes to them that are sure to pull on your heartstrings. The lyrical content perfectly works alongside the vibe of the music. The songs explore dark, romantic, introspective themes, as the instrumentals perfectly support your thought and exploration of the lyrics and their value to you, the listener. While I worry that the album may be too “weird” for some listeners, I think the variety of sounds that the band utilizes makes AM/PM one of the most interesting releases thus far in 2017. Be sure to check out the band on the Skullcandy stage this summer on the Vans Warped Tour! Stream AM/PM on Spotify or purchase on iTunes! The Great Holyoke Heavy Metal Hootenanny With Killswitch Engage, All That Remains, And More!